Kia Motors America (KMA) today reported record March sales of 58,771 vehicles, up 7.3 percent over the same period last year. HyundaiMotor America today reported its best month ever, selling 75,019 units, up 12 percent versus the same period last year. Kia Motors America (KMA) today reported February sales of 44,030 vehicles, up 6.8 percent over the same period last year. Hyundai Motor America today reported its best February ever, selling 52,505 units for the month, up seven percent versus the same period last year. Kia Motors America’s (KMA) record-setting momentum carried into 2015 with best-ever January sales of 38,299 vehicles, up 3.5 percent over the same period last year. 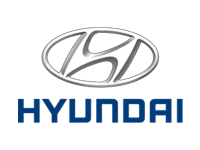 Hyundai Motor America today reported its best January in company history, selling 44,505 units for the month, up one percent versus the same period last year. Licensed by the Connecticut Department of Banking to do business in Connecticut under License Numbers SFC-1885, SFC-BCH-931398, SFC-BCH-20110 & SFC-BCH-931638. Expiration date: December 31, 2018.